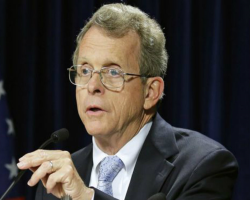 The Ohio GOP war on women continues as Attorney General Mike DeWine quickly does the bidding of Ohio Right to Life when Toledo’s last abortion clinic successfully complied with one of the state’s draconian anti-abortion laws. The forced birth crew is now trying to change the rules yet again. This entry was posted in Politics, Progressive, Women and tagged abortion, forced birth supporters, Mike Dewine, Ohio, reproductive rights, Toledo, transfer agreement on June 20, 2015 by Doug. In what seemed like deja vu, Republicans in the Ohio legislature rigged a committee vote on the anti-abortion law known as the Heartbeat Bill (House Bill 248). The GOP pulled a similar stunt back in 2011 in the Ohio Senate to pass out of committee Senate Bill 5 that attempted to strip collective bargaining from public employee unions. 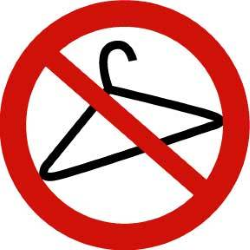 This entry was posted in Columbus, Politics, Progressive, Religion, Women and tagged abortion, anti-abortion, heartbeat law, Ohio, religious extremism, reproductive rights on November 21, 2014 by Doug. Guess who showed up in a news clip showing a tacky photo-op by supporters of HB 125 aka “Heartbeat” Bill? Senator Cliff Hite (R-Findlay) received a Teddy Bear that made a heartbeat sound when squeezed. The whole photo-op was a circus that P. T. Barnum would be proud of. This entry was posted in Columbus, Findlay, Hancock County, Media, Politics, Religion and tagged abortion, anti-abortion, Cliff Hite, Findlay Ohio, HB 125, heartbeat law, Ohio, reproductive rights on January 11, 2012 by Doug.